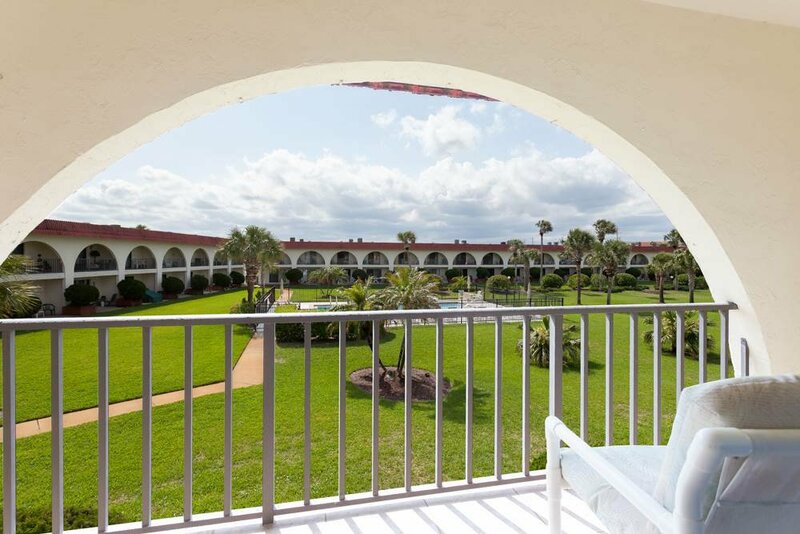 Everything's just a little newer and nicer at our townhouse at Ocean Club I 34, a mere stone's throw from St. Augustine Beach. 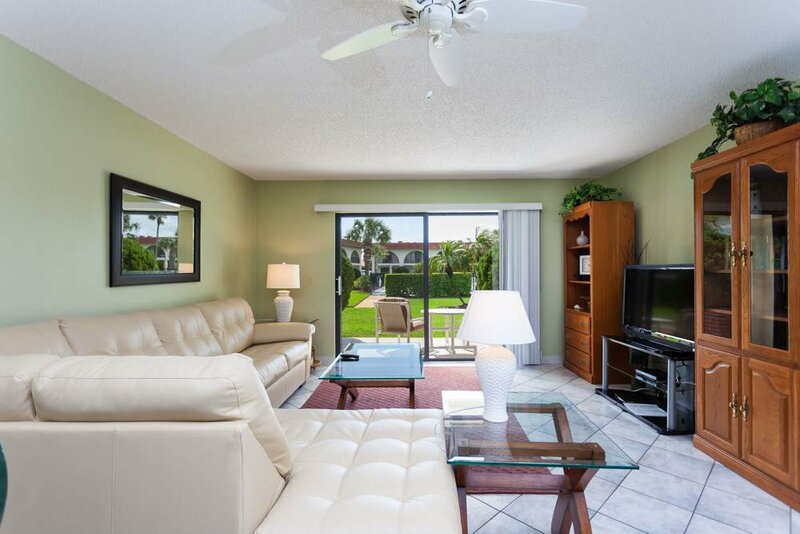 Our condo in this resort is beautifully appointed and very easy to fall in love with, from its patio to its sundeck! 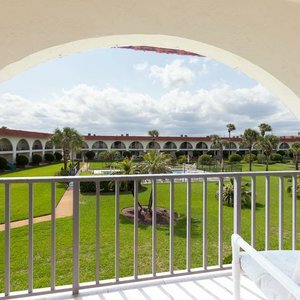 The emphasis is on sunshine and water at Ocean Club I 34. 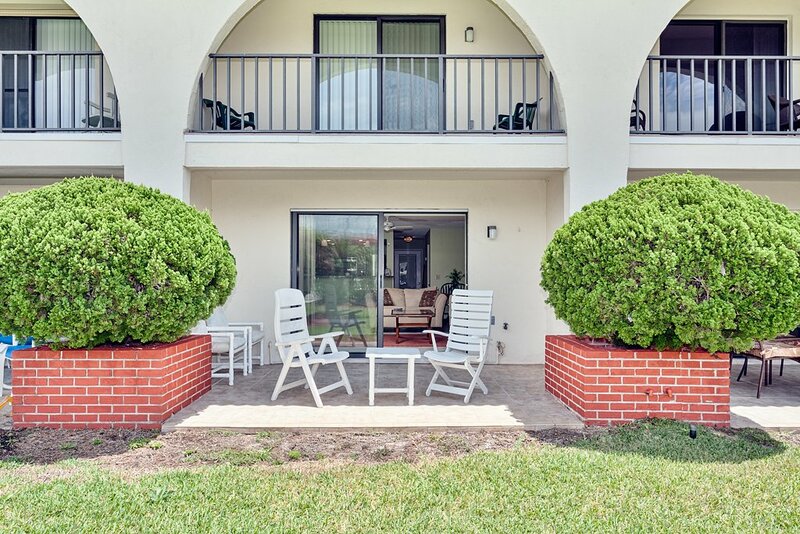 Located in a small oceanside complex with easy access to the beach (less than a 1-minute walk! 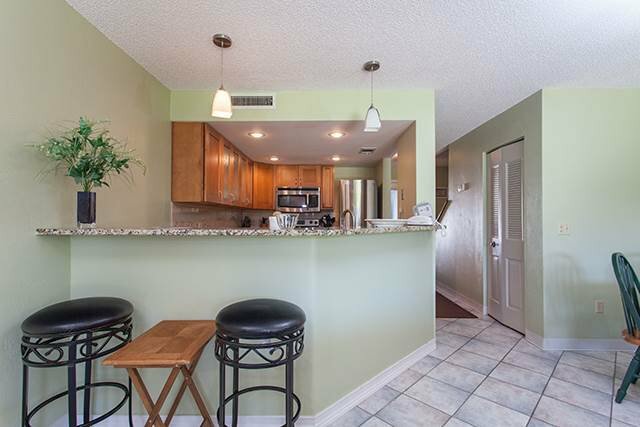 ), it features comfortably decorated rooms, plus a private patio, balcony, and sundeck! The extras begin with the private garage, oversized to fit not only your car but also any equipment you might wish to bring, such as bicycles, a kayak, or surfboards. Keep your car out of the hot sun and your beach toys out of the house with this convenient garage! The patio is next. 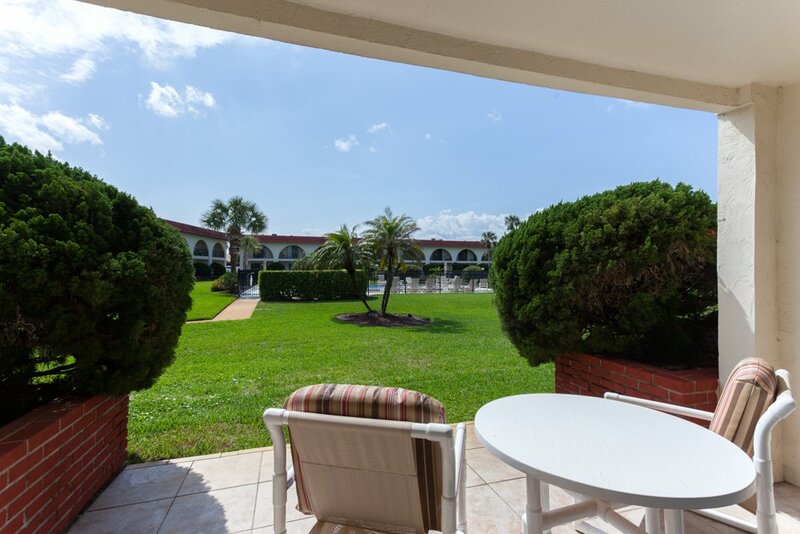 Looking out onto the grassy courtyard and at the sparkling swimming pool in our complex, it's a lovely place to enjoy that first cup of the coffee in the morning, as the sky turns colors and another perfect day begins. 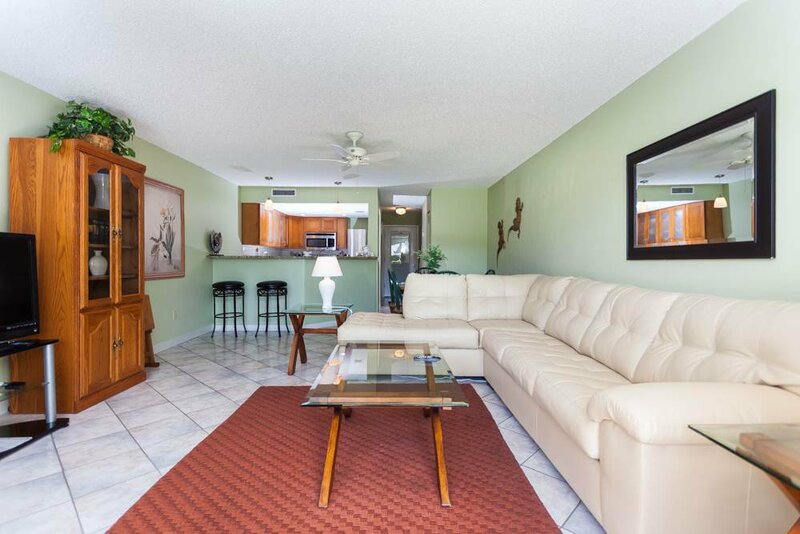 Step inside our living area and you're immediately refreshed by the ceiling fan and tempted to stretch out and relax on the comfortable couch or in the recliner. An HDTV with DVD player is ready to play your favorite movies and shows. 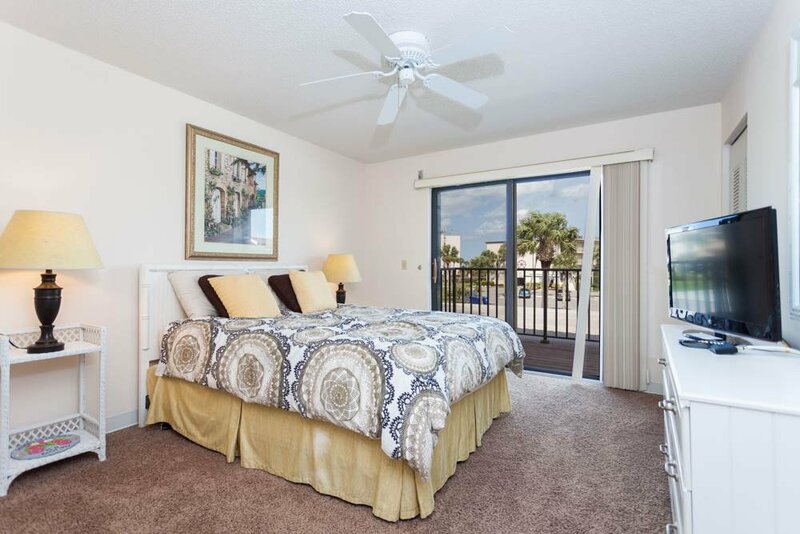 Everything in this room is calming and cool -- the perfect wind-down from a day spent outdoors sightseeing or swimming! 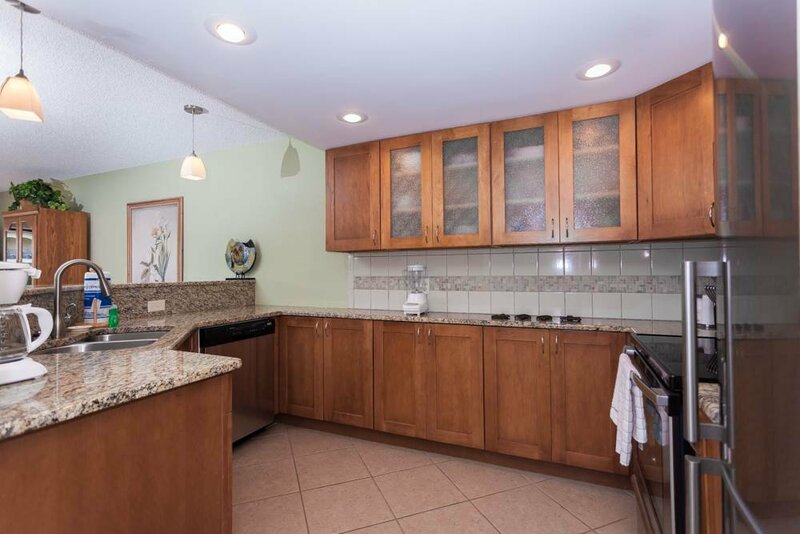 And then there's our kitchen, completely renovated to lure gourmet and reluctant chefs alike into its midst! 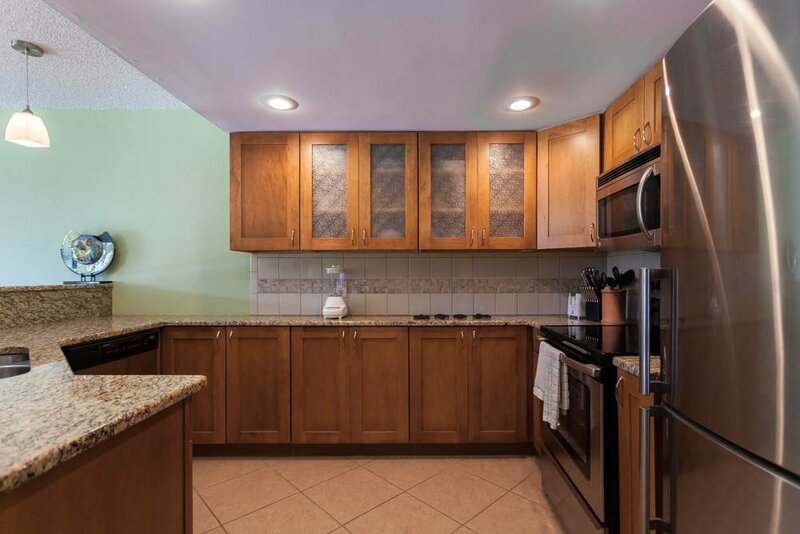 Stainless steel appliances, granite countertops, and polished wood cabinetry beckon to you, and if you do decide to whip up a few homemade meals this vacation, you'll find everything you need for just about any culinary task. 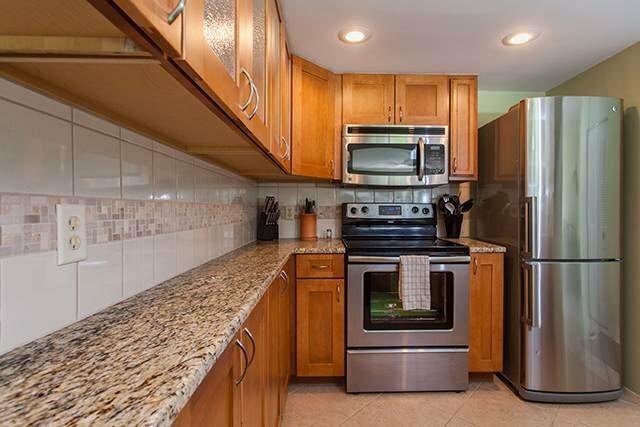 Cookware, utensils, gadgets, dishes -- they're all here for you! 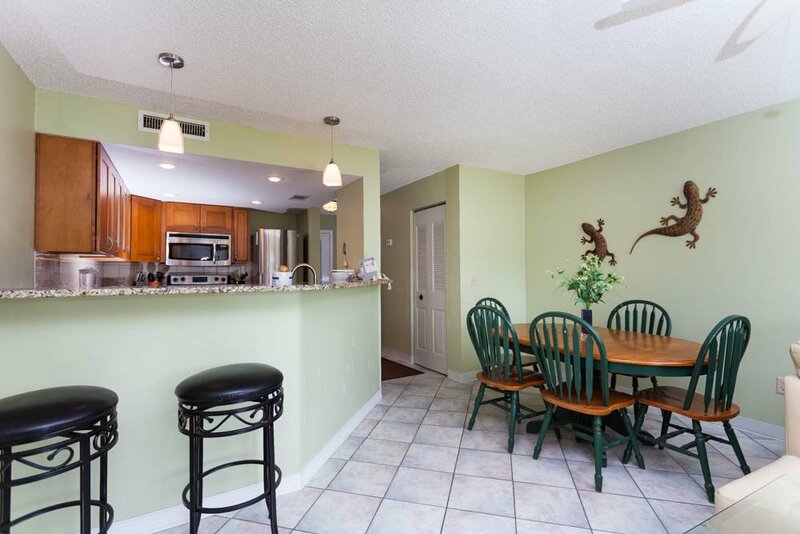 Even if you're just making blender drinks and serving takeout, you'll enjoy the time you spend in this kitchen. 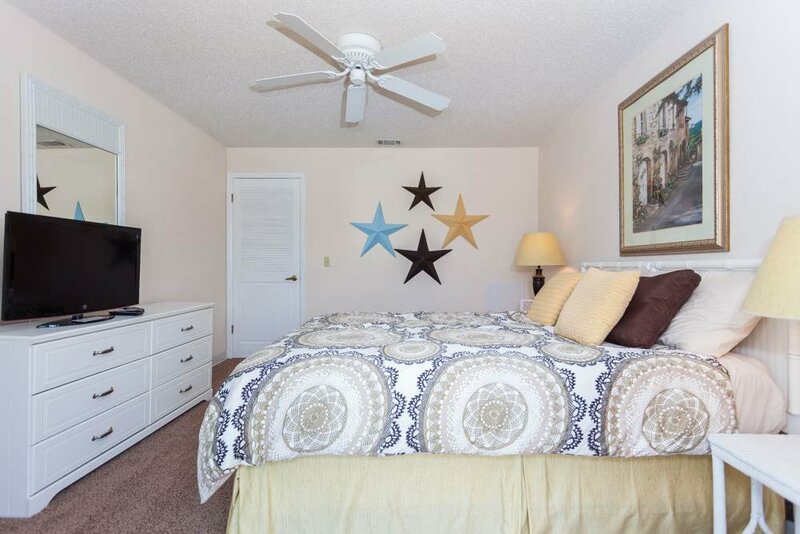 When it's bedtime, even the kids will be hard-pressed to complain about their soothing, beautiful accommodations. 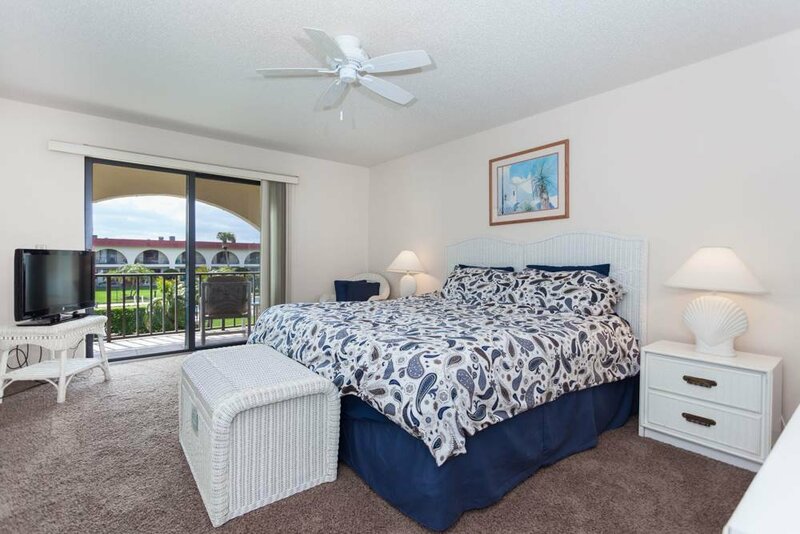 Both of our bedrooms lead out onto balconies where you can hear the roar of the surf and smell that salty sea breeze, so retire a little earlier than usual and take a drink outdoors for stargazing! 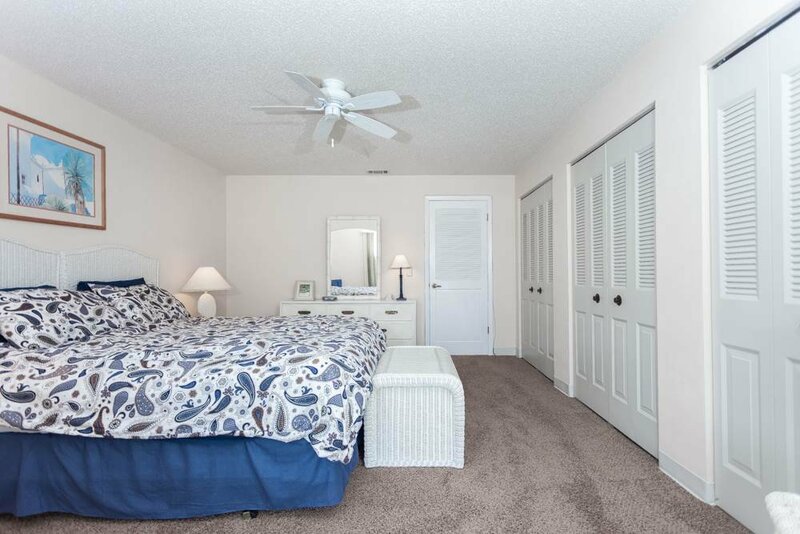 The master bedroom features an ultra-comfortable king bed, new HDTV, ceiling fan, and plenty of dresser and closet space. 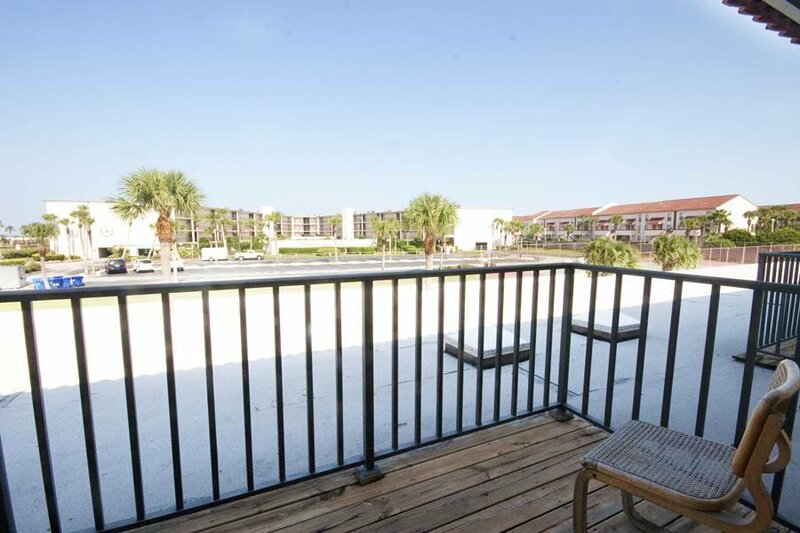 It leads out onto the sundeck, a private uncovered spot just right for anytime you wish to commune with the beautiful outdoors. 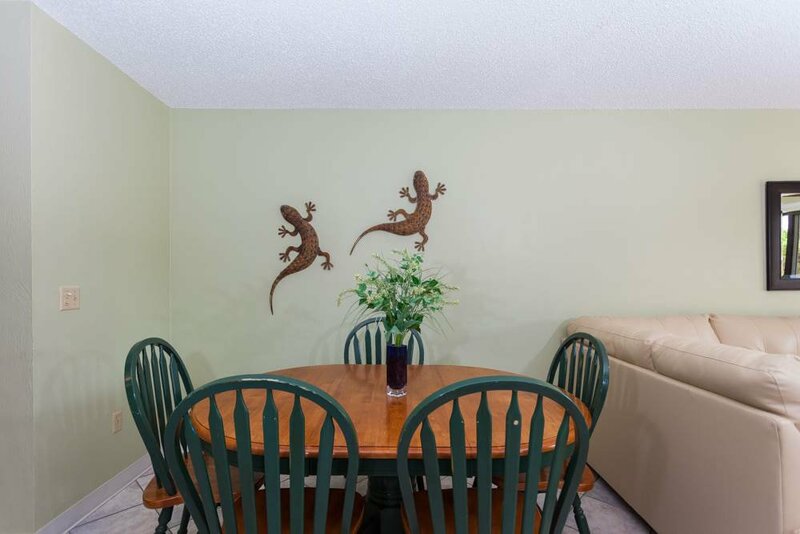 Most of all, it has space -- this is a far cry from those cramped hotel rooms where you must leap over your suitcase to find a bit of bare floor. 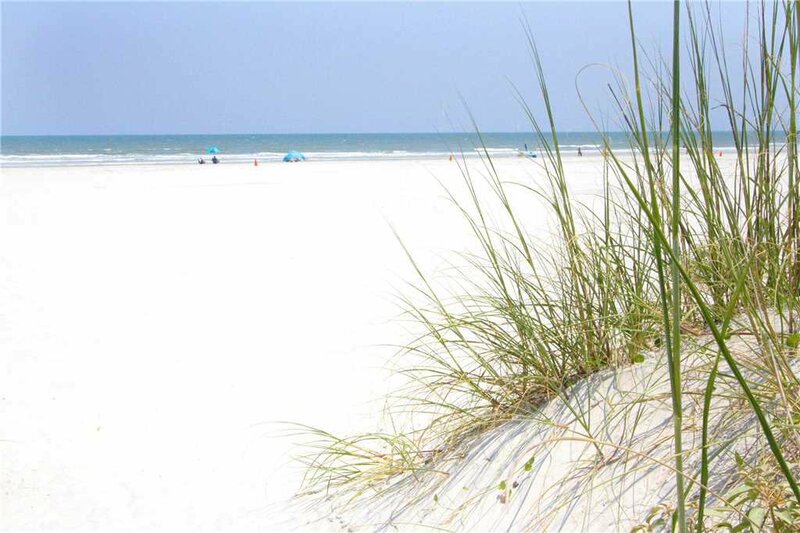 Unpack, unwind, and enjoy! 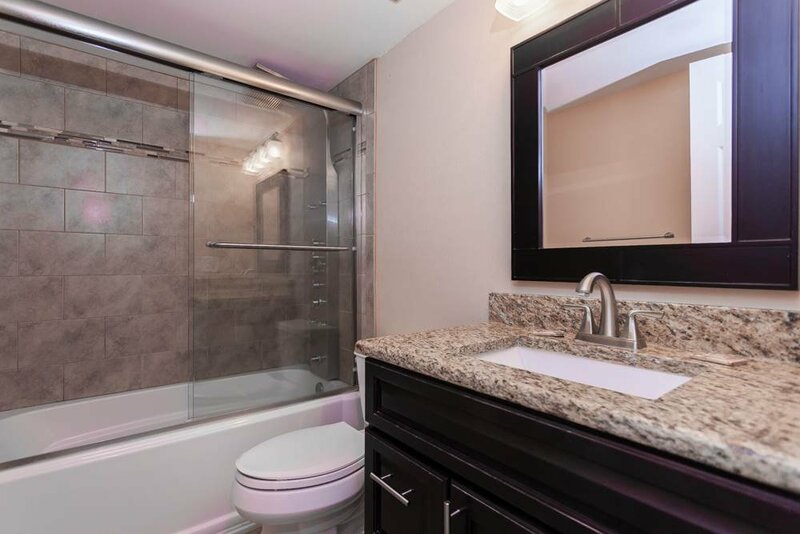 The newly renovated master bathroom has a walk-in shower, and all towels are provided for you, as well as all linens, blankets, and pillows at Ocean Club I 34. 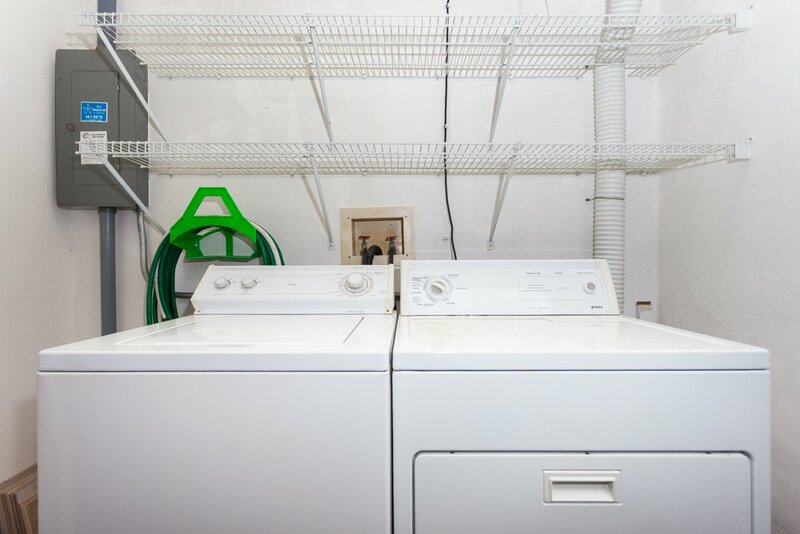 You can pack very lightly this trip, for our private washer and dryer keep you in fresh clean clothes and beach towels every day! 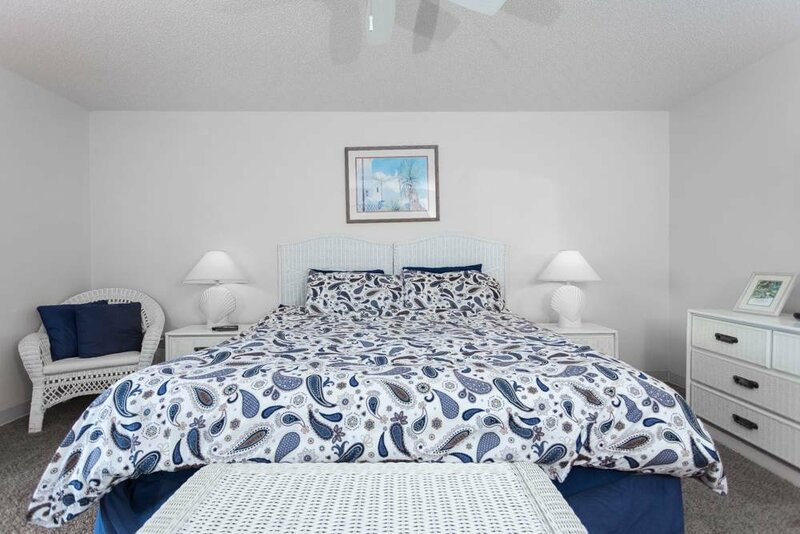 The newly renovated second bedroom is as lovely as the master, with a queen bed and new HDTV and access to the covered balcony, which offers a view of the swimming pool. 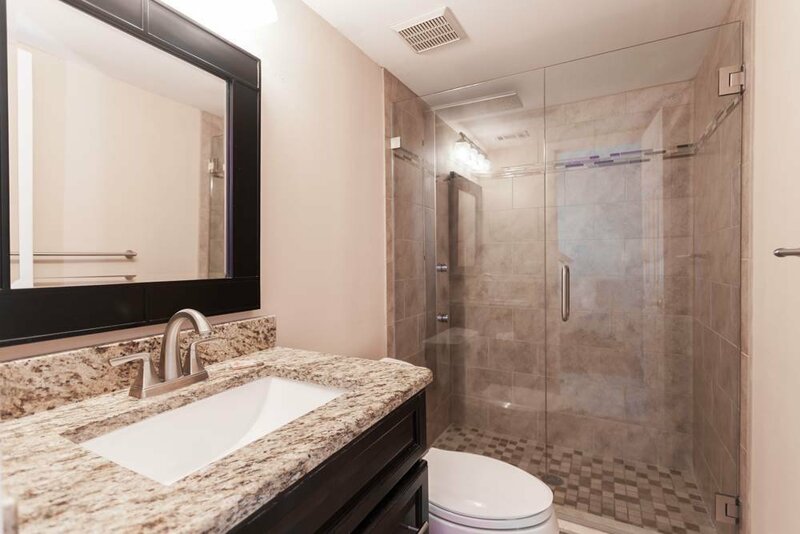 The second bathroom contains both a bathtub and shower option and is convenient to this bedroom. And if you need to sleep a couple more people, open up the living room couch into a bed for 2! 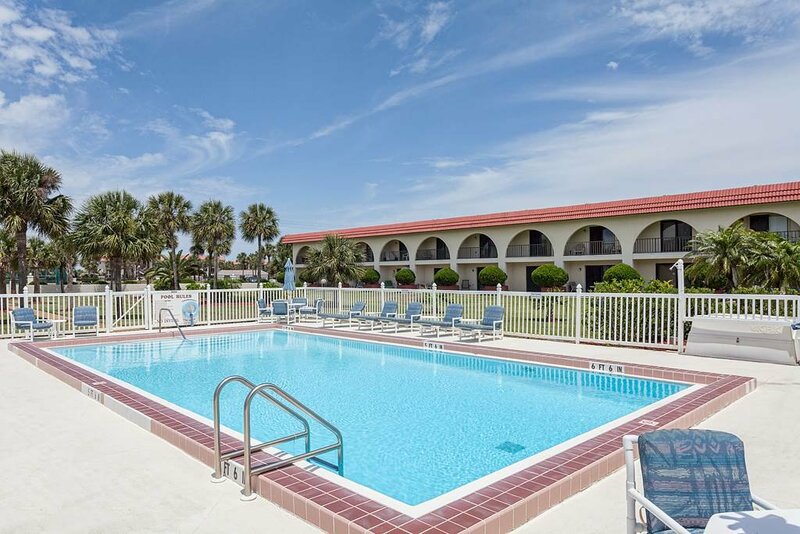 Ocean Club is on St. Augustine Beach, a family-friendly wide strip of coastline with sparkling waves, good beachcombing, and plenty of sand for playing and sunbathing. 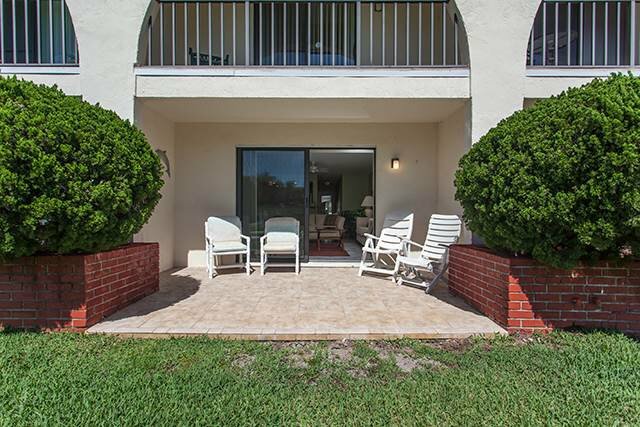 The Intracoastal Waterway is also nearby, as well as world-class golf, shopping, dining, and sightseeing. 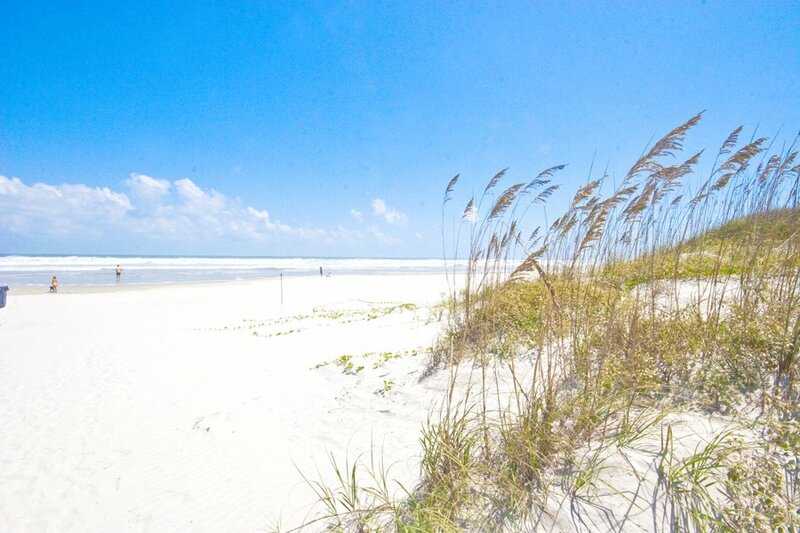 You're right in the heart of beautiful vacation land here at Ocean Club I 34, so plan to visit soon.